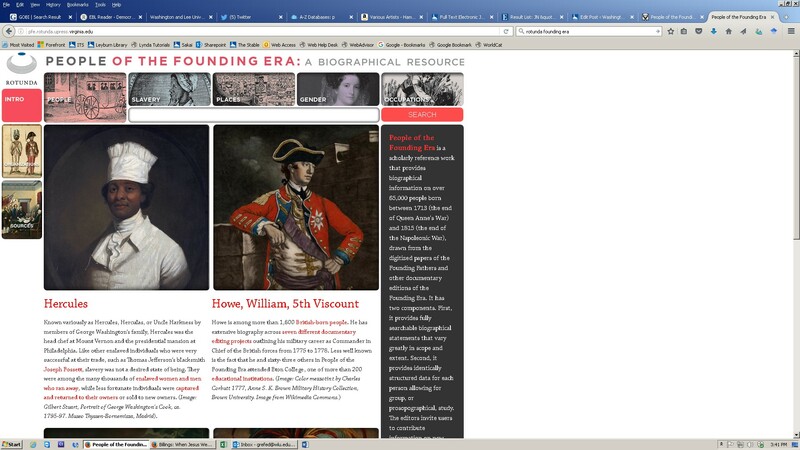 The Washington and Lee University Library has initiated a subscription to the online database People of the Founding Era, a scholarly reference work that provides biographical information on over 65,000 people born between 1713 (the end of Queen Anne’s War) and 1815 (the end of the Napoleonic War). Most of the biographical excerpts are drawn from the digitized papers of the Founding Fathers and other documentary editions of the Founding Era, including The Geography of Slavery, augmented by further research by the University of Virginia Press. For much more detail on this ongoing project, we can recommend the site’s Introduction . Current members of the Washington and Lee University community — students, faculty, and staff — have online access to the Oxford English Dictionary through the University Library’s subscription. The Washington and Lee University Library purchases access to well over 100 research databases to support student and faculty work at W&L. Members of the current W&L community — students, faculty, and staff — have access to this online database from both on-campus and off-campus locations. There is a link in the library catalog and links are likely to appear in relevant research guides. 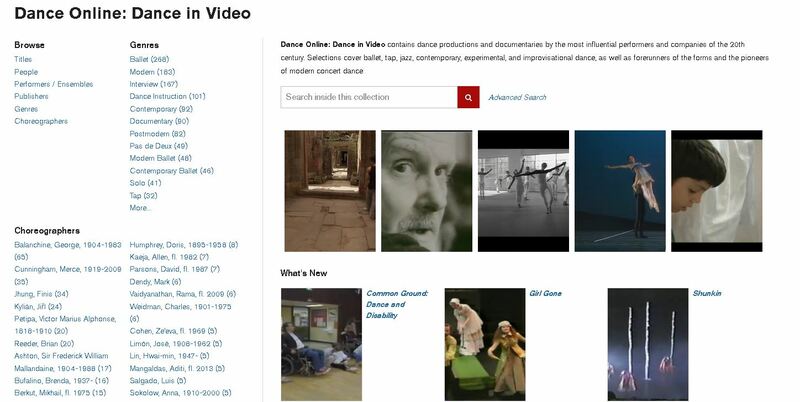 Please note that W&L has purchased Dance in Video for a period of one year and a decision on continued access likely will be based on use during the 2016-17 academic year. The Washington and Lee University Library’s Digital Archive project recently posted online a diverse collection of materials from three centuries, with a wide range of perspectives on aspects of W&L and Rockbridge County history. By far the oldest item is the final will left by local farmer Hugh Adams in the late 1850’s, which includes his wishes for the freeing of his slaves upon his death. Film footage of the W&L football team’s play in the 1951 Gator Bowl game is augmented by an interview with former player Don Ferguson and recently-recorded commentary from Doug Chase in a 17-minute video. The 2014 video production Mock Con: The Storied History of the Washington & Lee University Mock Presidential Convention (available in the library on DVD) contained excerpts of interviews with alumni, students, faculty, and other members of the W&L community. We are now able to share 22 full-length video interviews from which those excerpts were drawn, including comments from W&L President Ken Ruscio and U.S. Senator John Warner. The ever-growing W&L Digital Archive , which also includes work from faculty and campus organizations and offices, is accessible through the University Library Web site. Questions about the Digital Archive can be directed to Digital Scholarship Librarian Alston Cobourn.